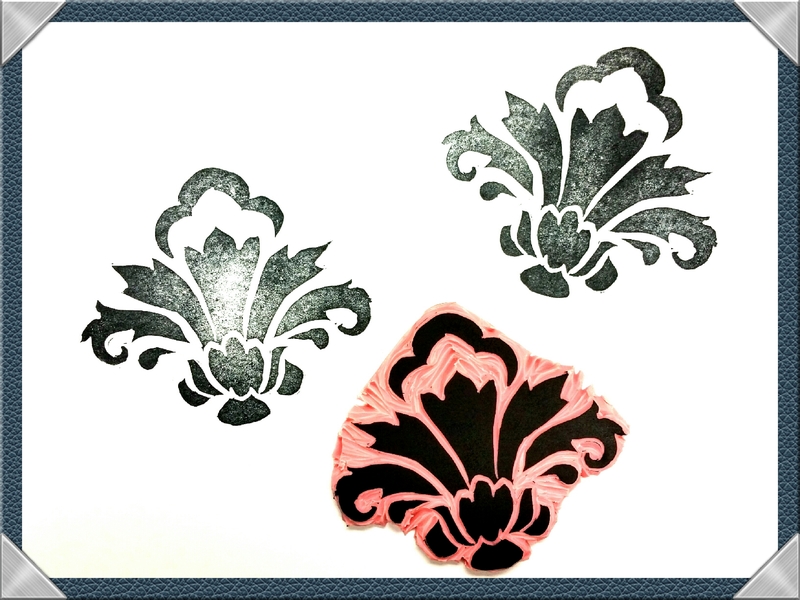 A damask stamp that I’m carving for a stamp swap. Still putting the finishing touches on it. That’s so crisp and symmetrical for a hand-carved stamp.